It's that time! Time for completely irrelevant and unnecessary holiday albums to celebrate Baby Jesus®. Yes, Beibster, I'm talking to you. 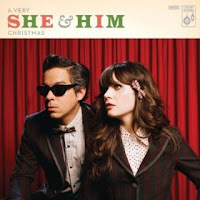 It Girl® Zooey Deschanel's She & Him jumps in with A Very She & Him Christmas. 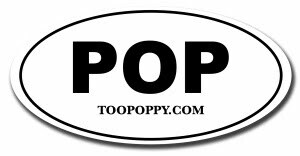 Let's get to it - one minute I love Zooey D. and thinks she's pure delight yet the next minute I want to stick a hot fireplace poker into my ears at the sound of her. It's an odd relationship complicated by extreme cuteness and that voice. That voice. That voice she overuses in superfluous singing moments in her movies and that voice that gets a bit old over the course of an entire album. That voice that transcends time and melds so well with M. Ward's incredible music. I said it's complicated. Anyway, it sounds as if that voice is perfect for Xmas melancholic classics like I'll Be Home for Christmas and The Christmas Song. We heard hints of it in Elf, but here you get a full 12-song set. I'll keep it on shuffle with Bing Crosby so I don't get overwhelmed, but if you like your Christmas with a bit of gee-golly-I'm-cool hipness, She & Him is for you.